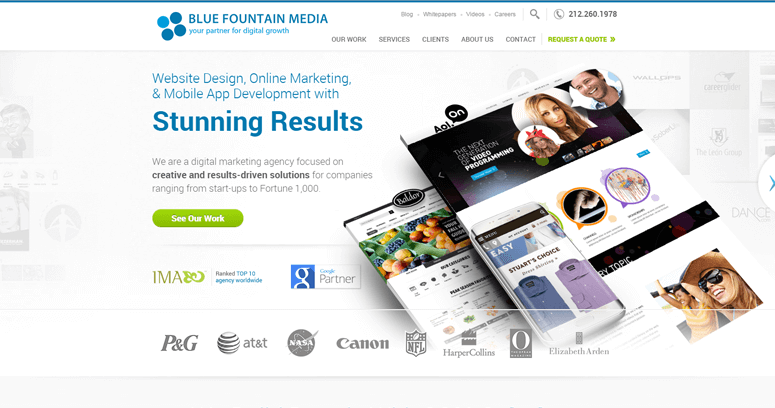 Blue Fountain Media is a digital agency that offers dynamic services which consistently yield impressive results. 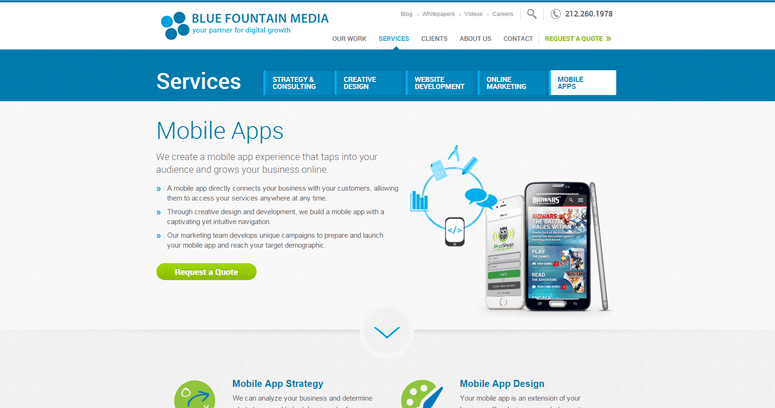 Over the years, the techies of Blue Fountain Media have realized that the key to conversion is conversation. Thus to optimize the client's conversion rates, the company's techies work with diligence and dedication to create digital campaigns that keep client and customer in constant communication. One of the engagement tools appropriated by the Blue Fountain Media professionals is social media optimization (SMO). By promoting the brand on channels like Facebook and Twitter, the Blue Fountain Media techies create a means through which the target market and business owner are constantly interfacing. 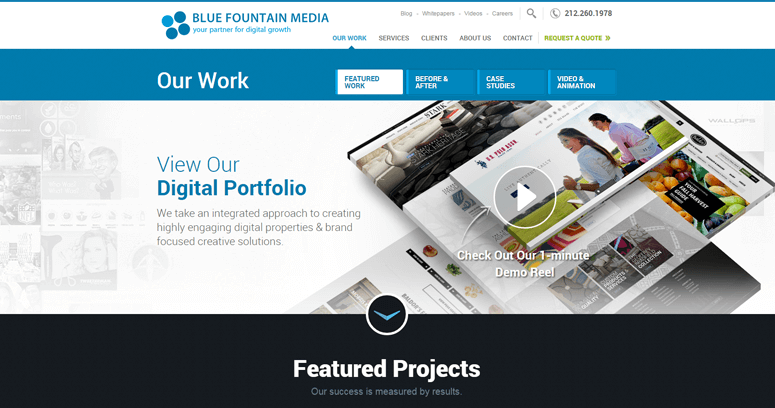 Choose Blue Fountain Media for digital services that generate a dynamic difference!